Before anything else, we would like to thank our long-time sponsor Gamblify for having donated this new feature to the community. Their involvement and their constant support to make this engine better are deeply appreciated. Files can now be marked as favorites, not only folders. A right-click menu, to handle files exactly as in the file list. The "Mark as favorite" button has been moved to a menu entry, found when you right-click files or folders. 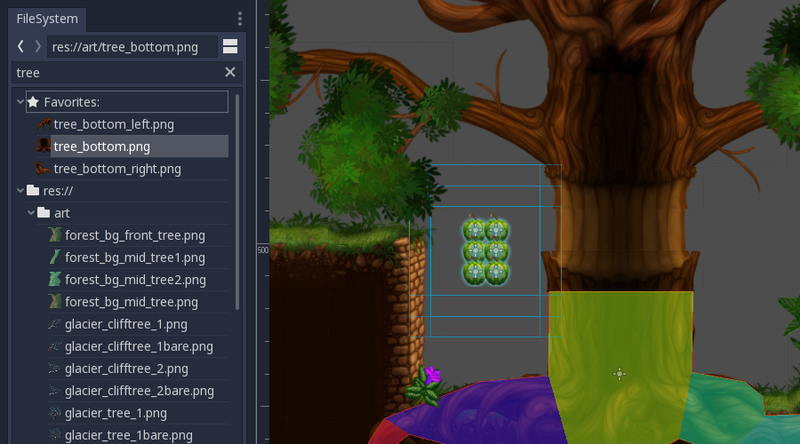 The "Find current scene in files" button has been moved to a menu entry, when right-clicking on a scene tab. We hope you will enjoy this new FileSystem dock. We are waiting for your feedback! Note: this new feature is outside the scope of the current feature freeze, since it has been on the roadmap and worked on since before the feature freeze took effect.